Painting mismatched or worn-out furniture is the go-to way to make it suit your style. But as you’ve experienced, dipping a brush into a paint can and applying a coat or two usually doesn’t cut it. 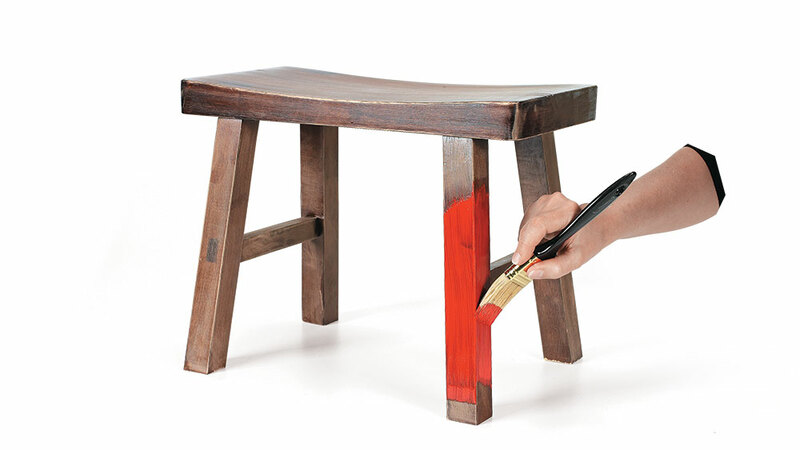 For long-lasting results, first sand the finish so paint will adhere to the wood better. Start with 80-grit sandpaper, and work your way up to 220-grit. Follow the grain of the wood, and use a tack cloth to wipe the surfaces clean between sandings. When you’re done, check for dents that may need to be repaired. Priming the wood won’t hurt, but with pre-finished furniture, it usually isn’t necessary. The original finish prevents the wood from absorbing paint. The preliminary work is done, so now it’s time to paint — but don’t just slop the color on. You’ll get better results if you apply two or three thin coats of satin, semi-gloss, or gloss paint using a synthetic-bristle brush and following the grain of the wood. For better protection, follow up with a water-based polyurethane finish. The end result will look like it was painted by the pros, and you can be sure it will last.